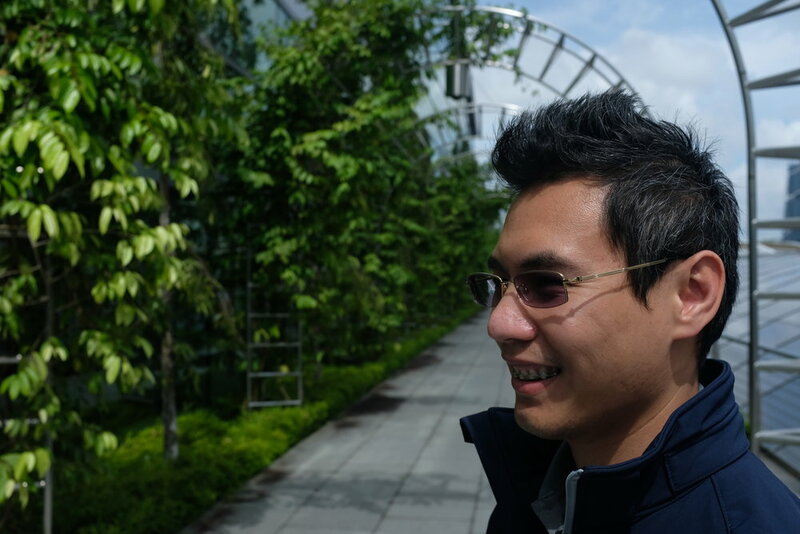 When it comes to farming, Ken Tran digs deep – not in dirt, but in data. He doesn’t drive a tractor and he doesn’t pull a plow. But he is helping to sow the seeds of a new type of agriculture – one that is nurtured by machine learning and artificial intelligence. Ken is a Principal Research Engineer with Microsoft Research and his mission is to help perfect new ways of growing food and feeding the world scientifically, sustainably, and profitably. In its way, digital technology is writing a new chapter in the story of agriculture. Once upon a time, about 12,000 years ago, humans began to give up hunter and gatherer lifestyles for farming. Across the ages, more secure food supplies saw the number of the people on the planet grow from maybe a few million people in Neolithic times to more than 7 billion today. And through all those millennia, farmers have literally battled the elements. They have read the seasons and bred new crop types largely through trial and error. By the late 20th century we had increased food production with mechanization, fertilizers, herbicides, pesticides, irrigation and a lot more. Today, humankind is growing more food than ever. But, here’s a crucial question: How long can we keep farming like this? In short, agriculture is being squeezed at one end by pressure on finite resources, and at the other by never-ending demand. Moreover, there is so still a lot we don’t know about the vagaries of the environment, and even about plants themselves. We still “hope” for good harvests. We still “pray” for rain, and we still “worry” about early frosts, late snow, unexpected floods, prolonged droughts, tenacious weeds, and hungry pests. The natural world is full of uncertainty and lot of farming is still based on good luck and guesswork. The game-changing component here is the ability to collect high-quality data and very quickly. When we are confronted with big issues like this, science and knowledge often offer a better way. And for Ken, and technologists like him, that better way lies in digital transformation. Agriculture, he argues, is one of many sectors of human endeavor that is falling under the spell of the 4th Industrial Revolution. Like so much else in the modern world, farming is being disrupted by data that can supply answers and produce solutions. In many locations around the world, new data-driven techniques anchored in the cloud are being introduced to farm life. Microsoft is leading the movement through its Farm Beats program. For instance, small plot farmers in India rely on digital tools to work out when best to sow their crops and so enjoy more bountiful harvests. In New Zealand, farmers are using the Internet of Things to best deploy spraying to best irrigate their fields. Ken, who is originally from Vietnam and is now based at Microsoft’s headquarters in Redmond in the U.S. state of Washington, is part of this overall effort. But he occupies a different place: His research is indoors.He is focused on improving the output and efficiency of “indoor vertical farms”. These are enclosed spaces where everything that is required to grow crops – light, atmosphere, temperature, water, and nutrients – is supplied, controlled and constantly monitored to produce data that in turn is used to develop better techniques and better results. Indoor vertical farms, which are sometimes called “plant factories”, rely on hydroponics. This soil-less water-based way of growing plants has been around for decades. What is different now is the arrival of cloud computing, which has given rise to data-based techniques aimed at producing better yields and better food at cheaper cost and in sustainable ways. Indoor vertical farm technology is still being perfected and there are many variations. In theory, all crops could be grown this way. But the greatest potential is for leafy green vegetables, along with some fruits and herbs. High-calorie foods, including cereals, like rice and wheat, and vegetables, like potatoes, are probably best grown in the field – albeit under more optimal, data-driven conditions. 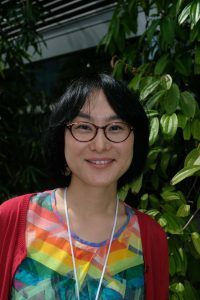 Eri Hayashi, of the Japan Plant Factory Association, specializes in airtight and thermally insulated rooms where “control” is a crucial factor. And, it is here that data comes into its own. Both Ken and Eri see opportunities to trial new ways of doing things. For example, “in a closed plant factory, we can pump in extra carbon dioxide to promote faster plant growth with oxygen produced as a byproduct. That might mean using a greenhouse gas for good,” says Ken. Closed environments also mean better control of pests and disease – and the elimination of chemical pesticides and herbicides. Water, which is largely lost to the soil and atmosphere on a conventional farm, can be used sparingly in a closed continuous cycle. “We can reduce water usage by 99 percent or more compared with land farms. We can also reduce the use of nutrients and waste by minimizing input and maximizing out,” Ken says. AI-controlled indoor vertical farming also opens up the prospect of farms in urban and industrial areas that can be productive in all seasons and in cost-controlled ways in all sorts of building and spaces. And, that could significantly change the way cities source food and feed themselves. By way of example, let’s look at a supermarket not far from where Ken and Eri were being interviewed in Singapore, a city-state with virtually no space for conventional farming of its own. Its shelves were stocked with produce from around the world, like lettuce from Australia, strawberries from South Korea, beans from the European Union, and grapes from Peru. Local indoor farms potentially could reduce that dependence on imports that are now constantly flown or shipped in. Acknowledging the advantages, Asian cities, particularly in China and Japan, are fast-adopting this technology with hundreds of indoor vertical farms – and Ken only sees this trend growing there as well as across North America and Europe. Automation – through AI, machine learning, and robotics – promises to bring down the cost of labor and other operations at a time when the age of farmers is climbing around the world and the economics of agriculture is fluctuating. This will allow smaller entrepreneurial farmers, as well as big operators, to establish niche on-demand services for customers. It could be lifestyle-changing. “In 10 years it is very possible that many apartment buildings in cities will have their own indoor farms,” Ken says. “In a few years’ time, there will be a lot more online delivery companies. So, you can grow indoors and package at your farm. Your customers will just go online and order a delivery. The time from farm to your fridge could be around two hours or so – just like a pizza delivery now. Additional images featured in this report are of indoor vertical farming activities conducted by SananBio in Xiamen, China.